Bayshore has been dedicated to enhancing the quality of life, dignity and independence of Canadians in their homes since 1966. Canadian owned and operated, we are the country's largest provider of home and community health care services, with more than 50 home care offices, 20 community care clinics and 8,000 employees. Offering a wide range of home care services, we strive to make a difference in our clients' lives – every visit, every time. Our nursing, personal care, home support and companionship services are available privately as well as through government care programs, personal and group insurance plans and workplace safety insurance. We deliver care to more than 70,000 clients annually. We also provide nurse/caregiver staffing services, health education programs and treatments in our community dialysis centres. Our subsidiary, Bayshore Specialty Rx, delivers a wide range of infusion pharmacy, infusion clinic and pharmaceutical support services to health care and pharmaceutical organizations. 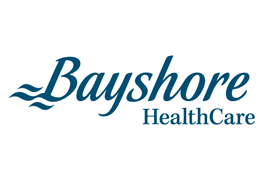 Bayshore Home Health has been a winner of Canada's 50 Best Managed Companies award since 2006.